I’ve featured TechSights here before. They double AK’s sight radius. 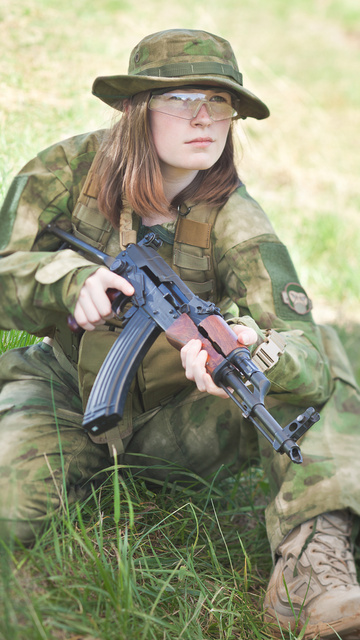 This entry was posted in rifle and tagged 7.62x39, AK47, aperture sights, camo, woman. Bookmark the permalink. Love it, very nice rifle. Love that camo too, also on the short list for next year, if all goes well. What camo pattern is that, please? 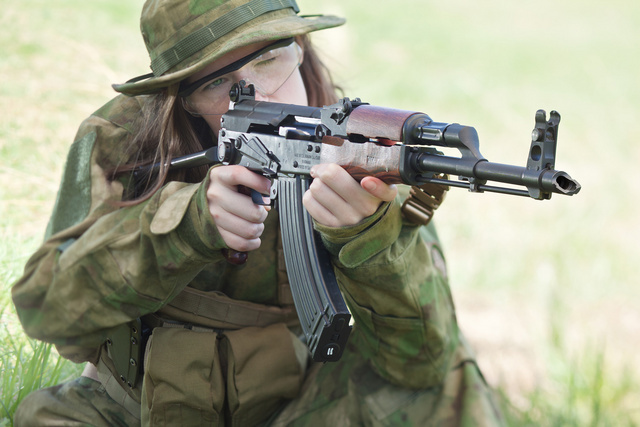 Not that the AK is a tack-driver, but doesn’t attaching the sight to the dust cover make for trouble holding zero? The sight is held against one of the rear trunnions, so it is consistent. Thanks. May have to look into getting one.